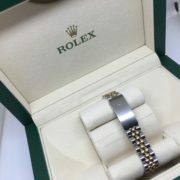 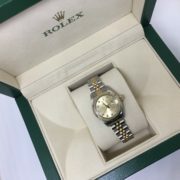 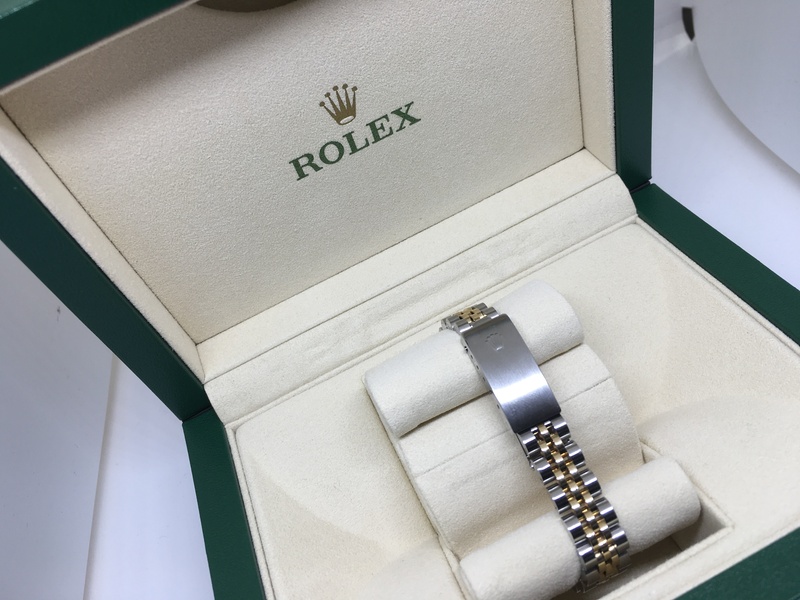 1990 bi metal 26mm Rolex datejust with box and papers. 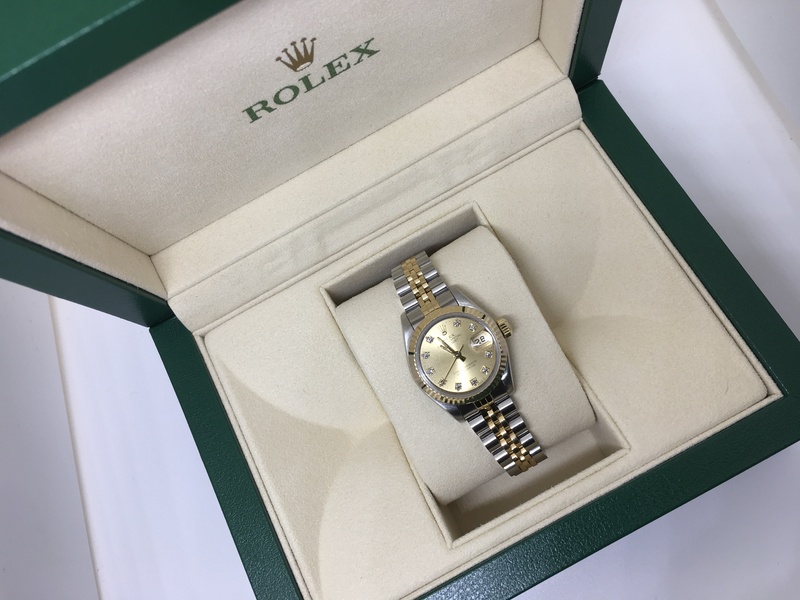 1990 bi metal 26mm Rolex datejust . 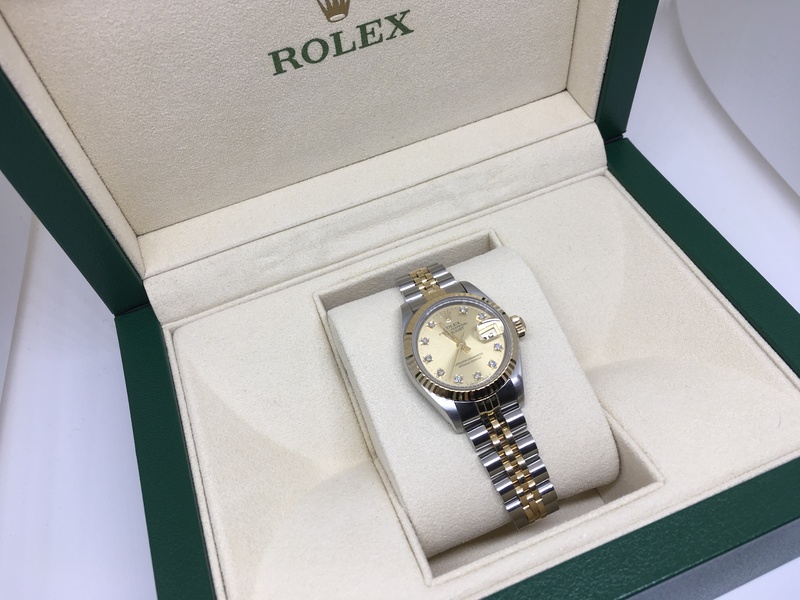 Original diamond dot champagne dial on a jubilee strap. 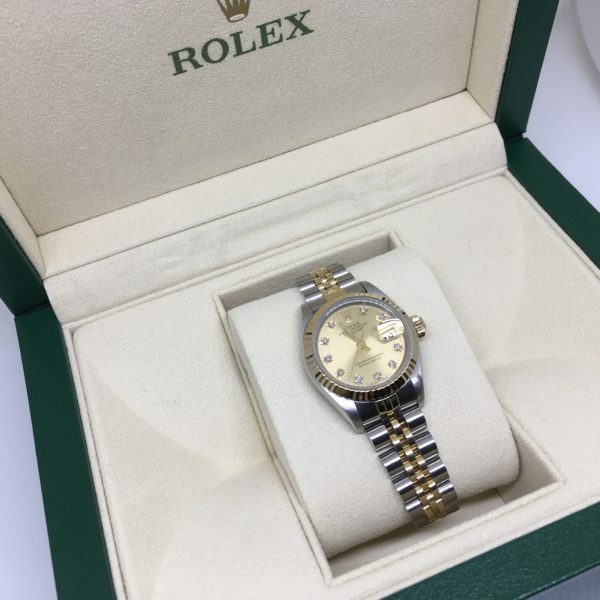 This Rolex comes with box and original paperwork.